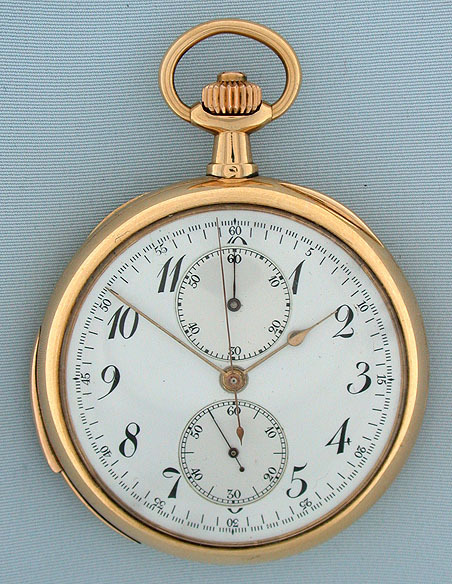 Fine and scarce Audemars Piguet 18K gold minute repeater chronograph with register circa 1902, in particularly fine condition throughout. 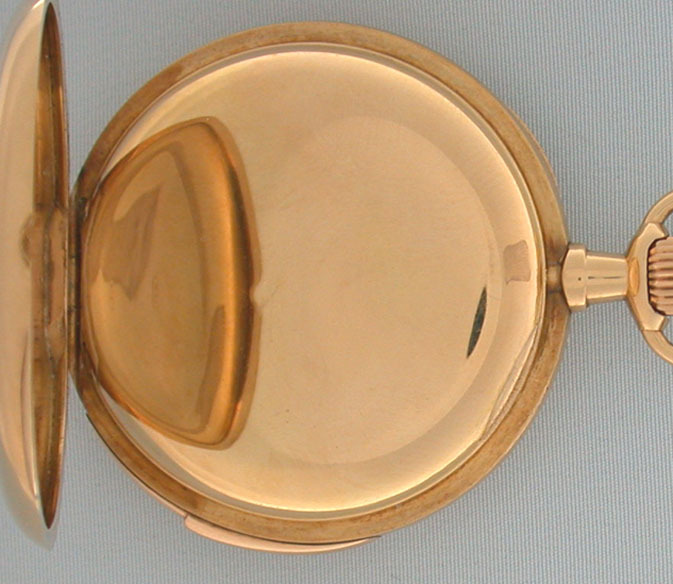 White enamel dial with black markings and a 60 minute elapsed time indicator at 12:00. 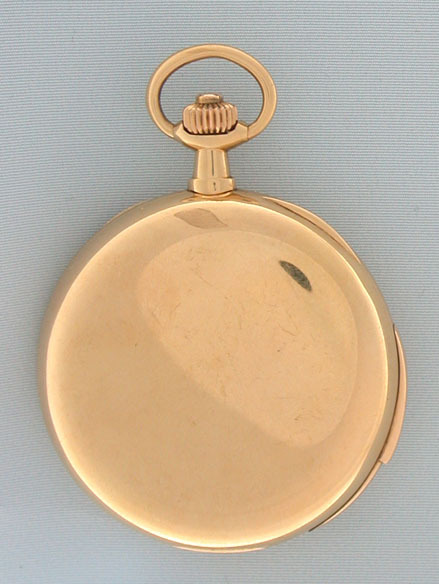 Plain polish case with repeater slide in the band and chronograph button in the crown. 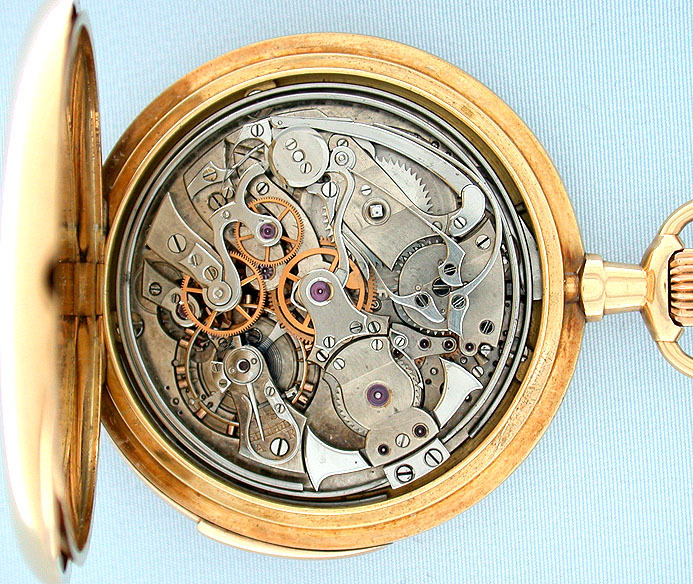 First quality 33 jewel movement with wolf's tooth winding, precision regulator, and Audemars' distinctive "S" shaped bridges. When activated, this watch chimes the exact time using different chime tones to designate the hours, quarter hours, and minutes with loud clear tones.